Google’s chief futurist, Ray Kurzweil, is known for his wildly-accurate predictions — back in the 1980s, when all of our current technological advancements seemed like sci-fi fantasies, he predicted self-driving cars, prosthetic legs for paraplegics, and wirelessly accessing information via the internet, among many other spot-on forecasts. Now, his latest prediction is that humans are going to live forever, and he thinks it’s going to happen as soon as 2029. 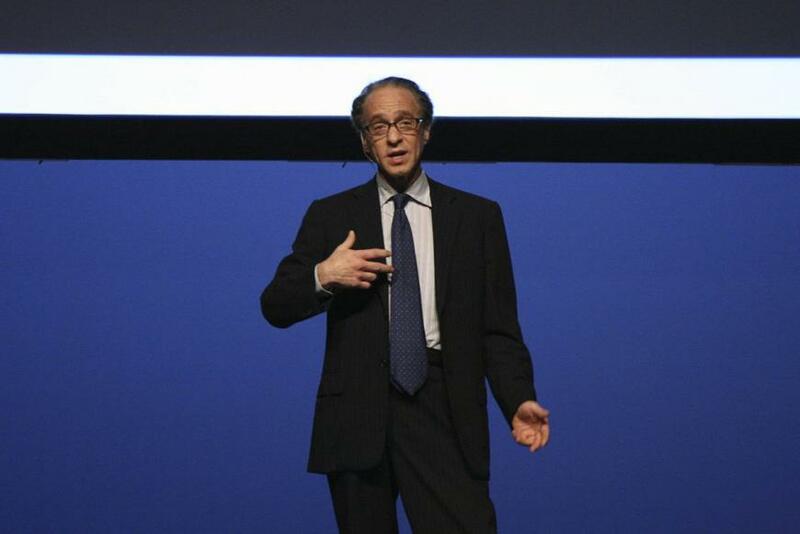 According to Kurzweil’s calculations, Singularity — the merging of human intelligence with nonbiological intelligence, or technology — will happen in 2045. This is where his predictions for 2029 come in. He believes that nanobots — microscopic, self-propelled robots — will act as T cells, which are blood cells involved in our immune responses. Using T cells to attack cancer cells is already an idea that researchers are using in some cancer immunotherapy, but Kurzweil wants to take it a step further. Instead of harnessing the body’s own T cells, he wants to send in nanobots to do the job. While Kurzweil is certainly adventurous with his ideas, little robots swimming around in our bodies to fight off diseases isn’t totally unheard of. In fact, The National Cancer Institute supports nanotechnology with its Alliance for Nanotechnology in Cancers. The rapidly developing field of biotechnology is exactly what Kurzweil thinks will bring humans to the point of living forever, and nanobots aren’t the only way he thinks this can happen. In fact, he told Hochman about biotech research at the Joslin Diabetes Center in Connecticut, which has turned off the fat insulin receptor gene in animals, allowing them to eat large amounts of food without gaining weight or developing diabetes. Basically, Kurzweil imagines a future in which technology is so advanced that humans are able to hack the body and significantly increase our lifespans — perhaps forever. Kurzweil is 67 years old, but claims his “biological age” is in the late 40s, courtesy of his “Immortality Diet.” If you have any interest in living forever, this is the 700-calorie breakfast he claims you should be eating. But if you aren’t a fan of salmon or dark chocolate in the morning, maybe biotechnology will have you sorted out by 2029 anyways.